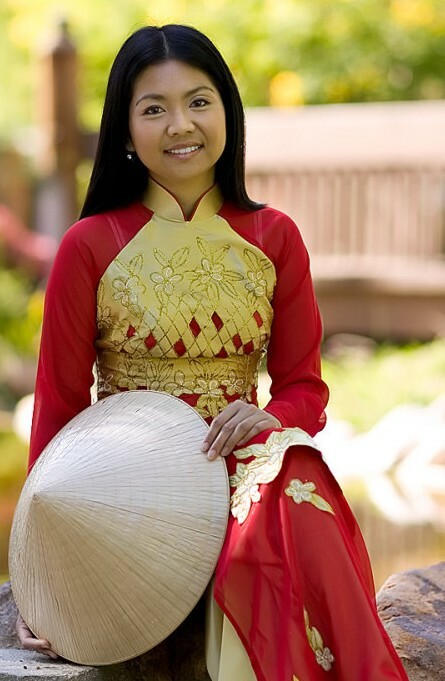 Ao Dai – A lasting impression for any visitor to Vietnam is the beauty of Vietnamese women dressed in their Ao Dais. It is the most alluring of costumes worn by Vietnamese women. If you visit Vietnam, you should hunt for an ao dai for yourself or as a souvenir. 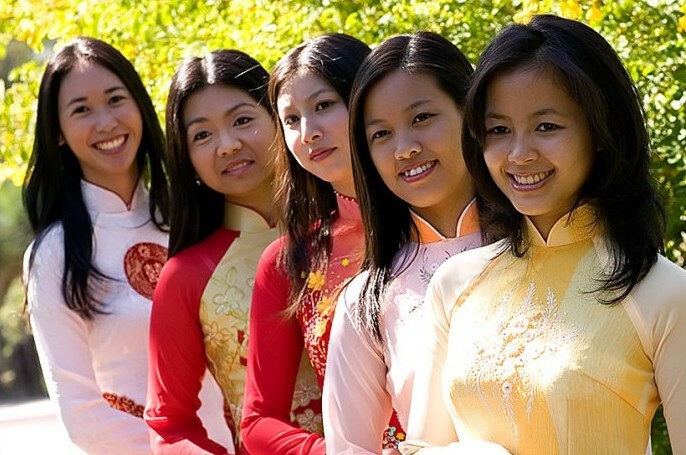 You can get a ready-made or made to order Ao-dai in most of the major towns in Vietnam. In the past, the ao dai was a three layered raglan cut dress: the degree of embellishments and materials used indicating the wealth of the wearer. The outer garment – the ao tu than – has four slits (sides, front and back) divided equally on its lower section. The second and inner layers are in different colours and usually a red brassiere and matching or white silk pants complete the outfit. The whole ensemble is worn with the side press studs done up, but the buttons on the chest left unfastened to expose the inner layers. The modern ao dai comes only in a single lined or unlined layer and zippers on fitting pants and tops are often used. In the 1950s when the French colonial government in Indochina was finally toppled, the greater part of the country came under Communism. After the reunification of the North and South in 1976, everyone had to wear the basic work outfit of pants and front-buttoned tops. The beautiful ao dai receded into the background and was worn only during special functions. It was only in the 1980s when Vietnam became a Socialist Republic did the ao dai re-emerge as the national symbol of United Vietnam: slender girls in long silk tunics and straw hats. 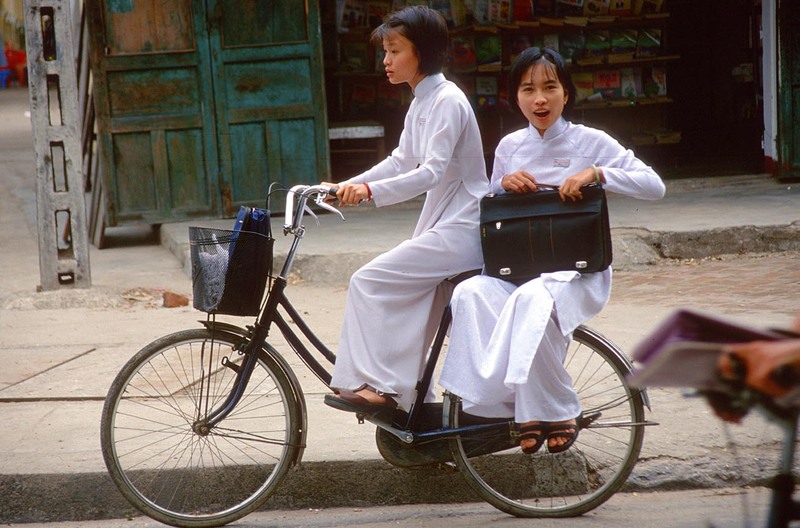 Nowadays, you can see ao dai-clad women everyone on the streets of Vietnam. This entry was posted on Wednesday, December 13th, 2006 at 10:47 am	and is filed under Advice and Guide. You can leave a response, or trackback from your own site.